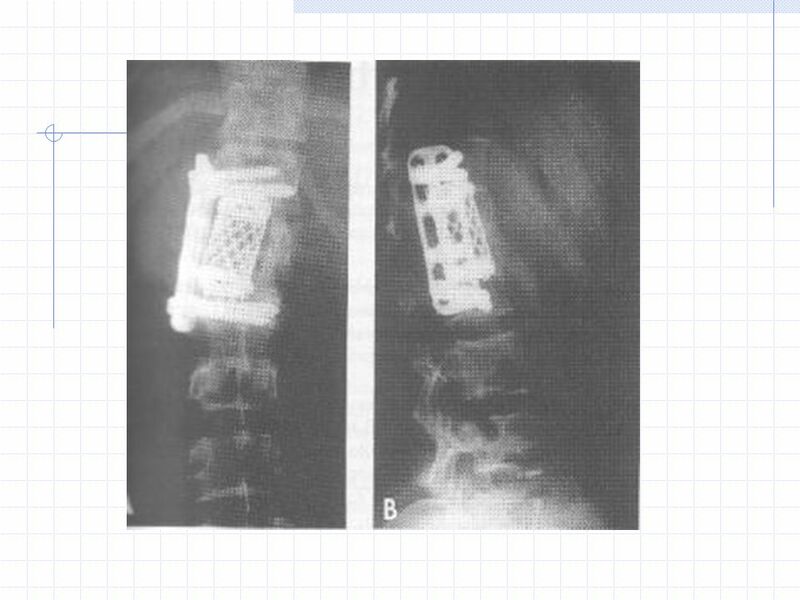 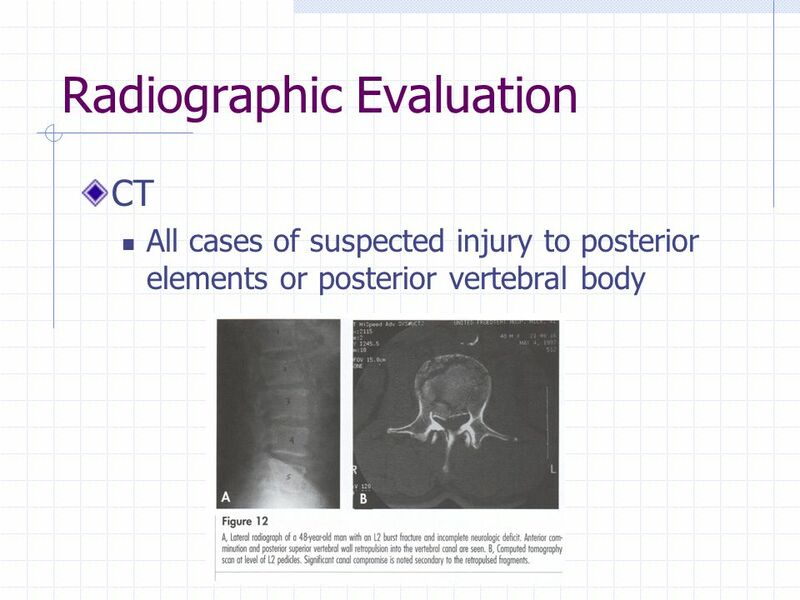 Thoracolumbar Fractures Patient Evaluation and Management. 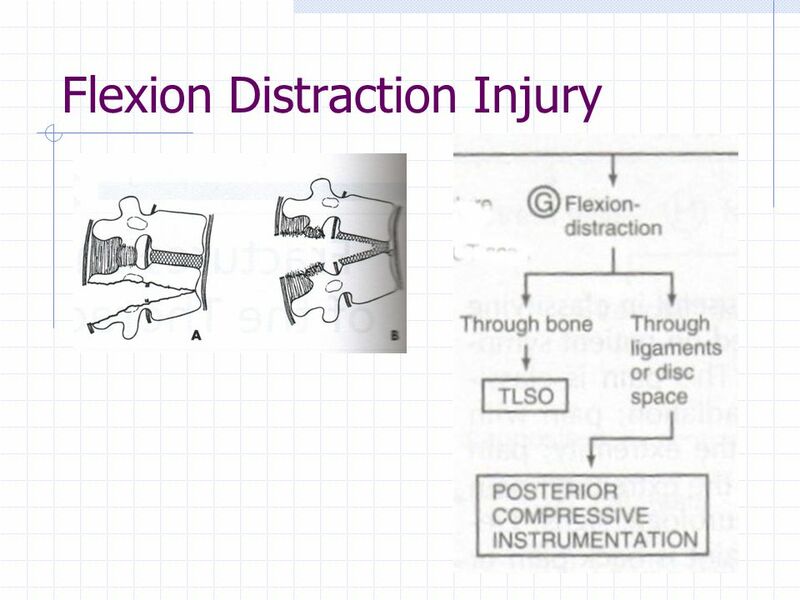 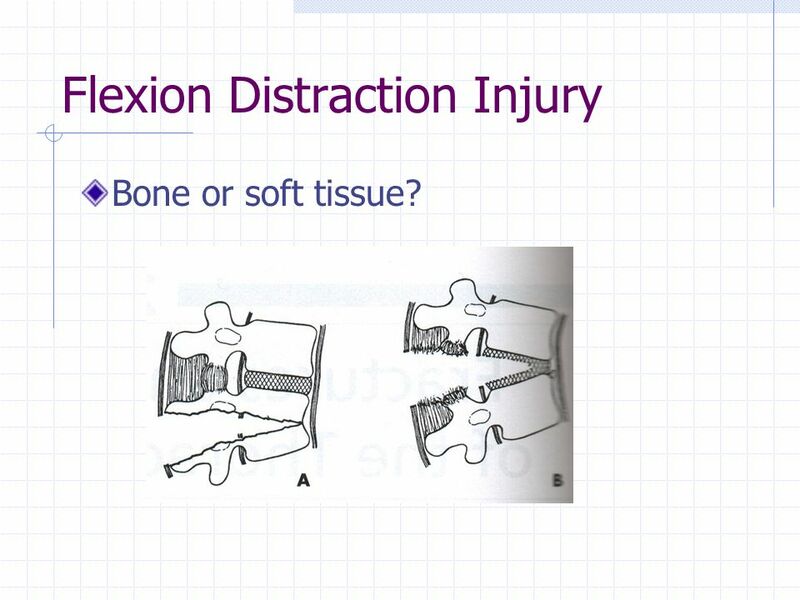 46 Flexion Distraction Injury Bone or soft tissue? 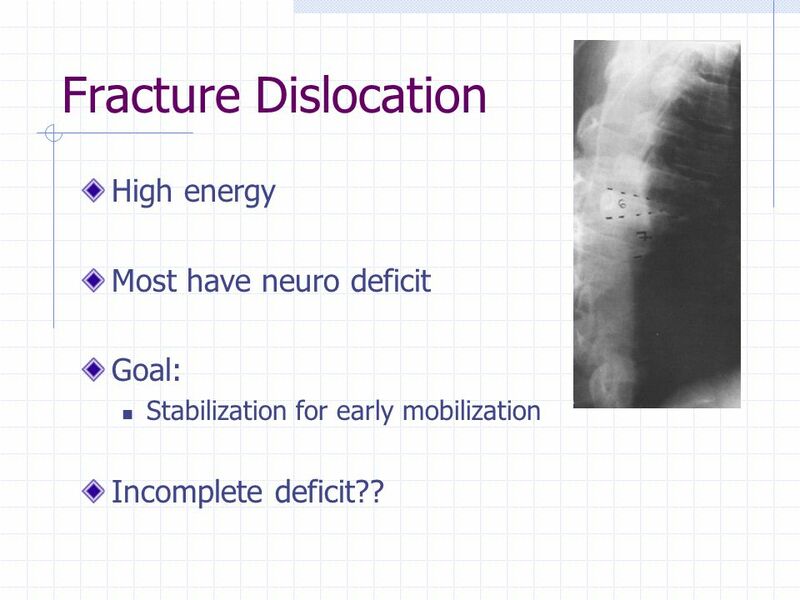 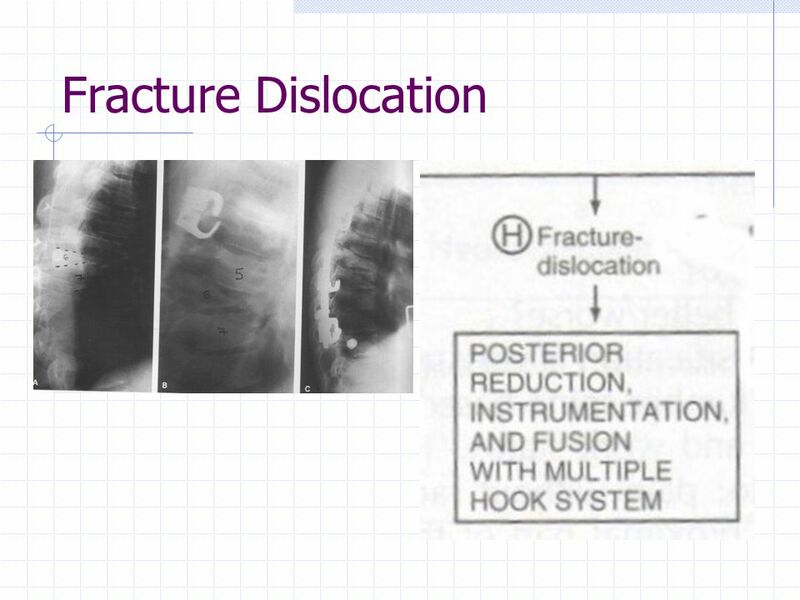 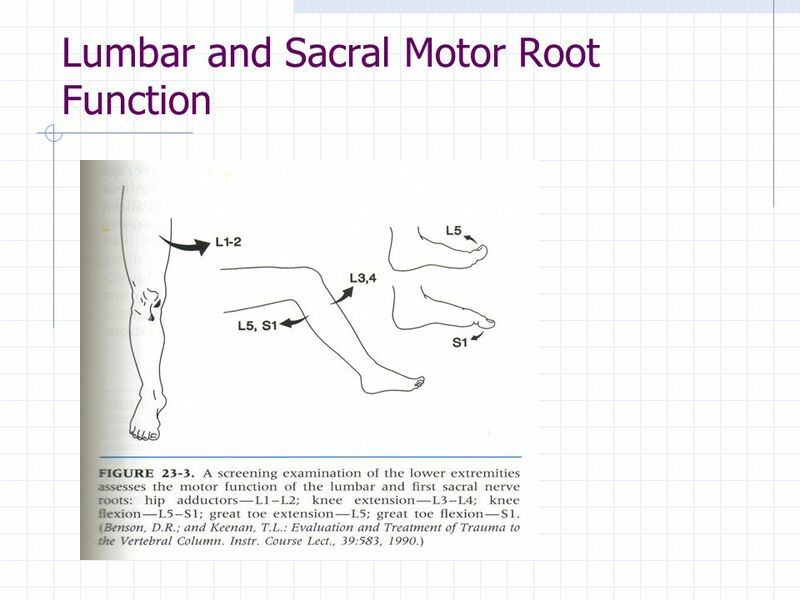 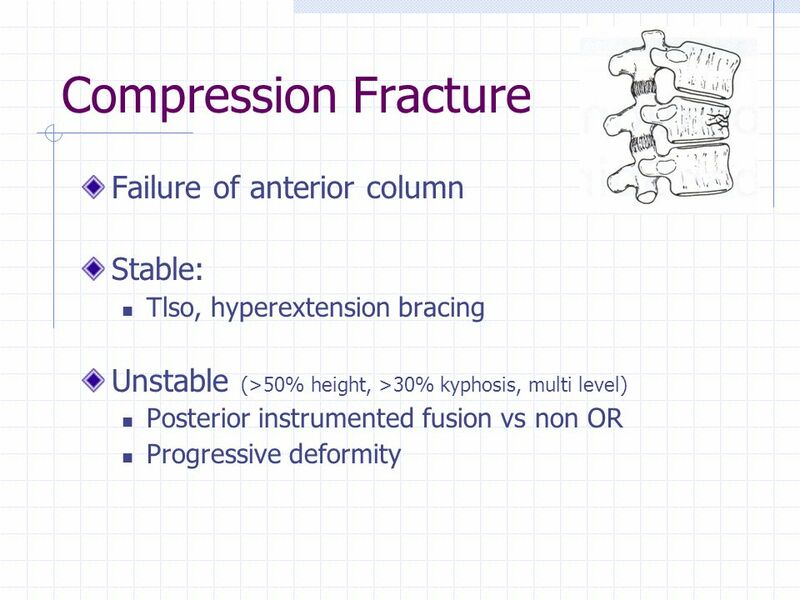 47 Fracture Dislocation High energy Most have neuro deficit Goal: Stabilization for early mobilization Incomplete deficit?? 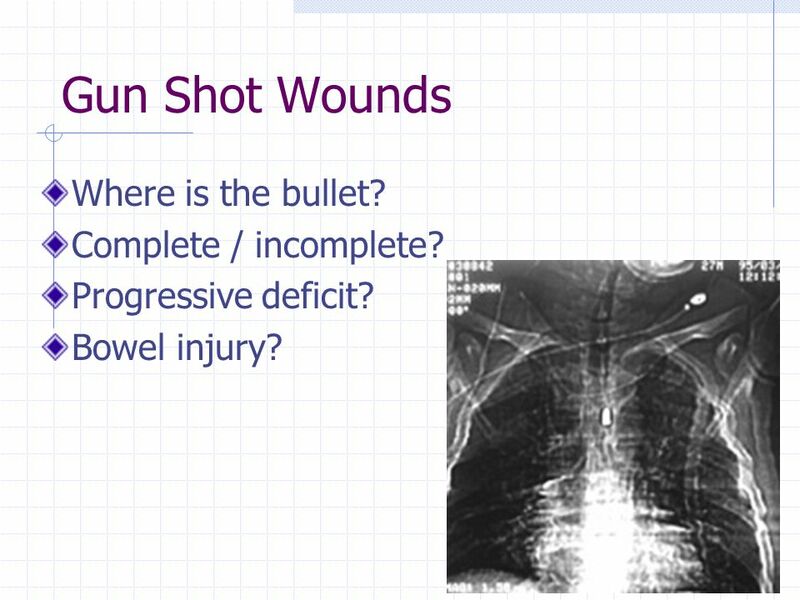 48 Gun Shot Wounds Where is the bullet? 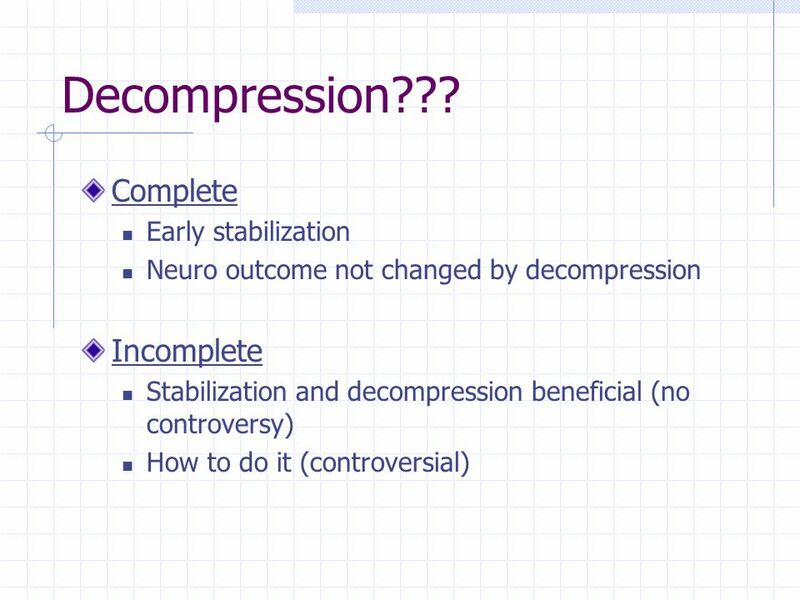 Complete / incomplete? 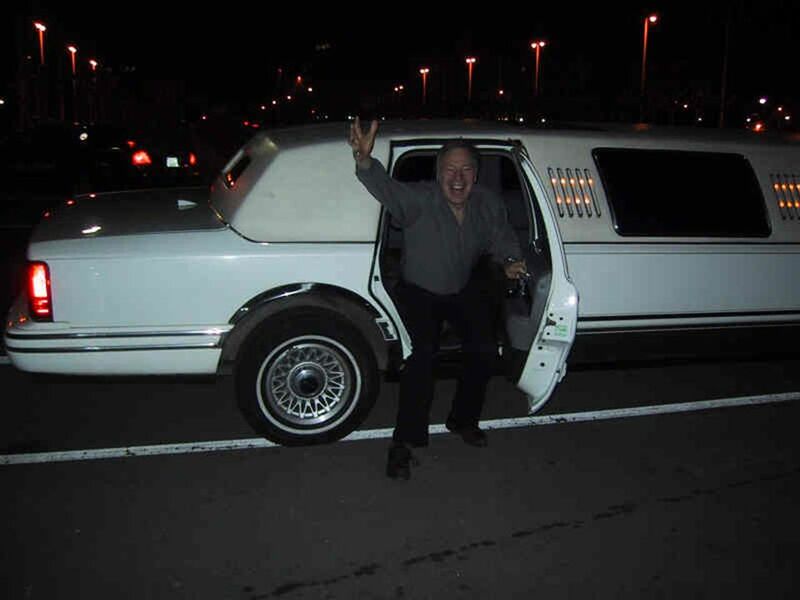 Progressive deficit? 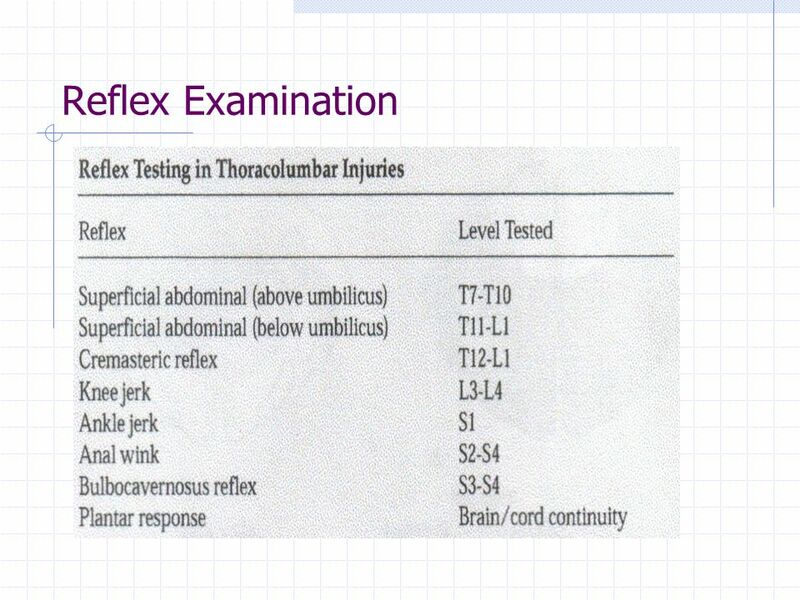 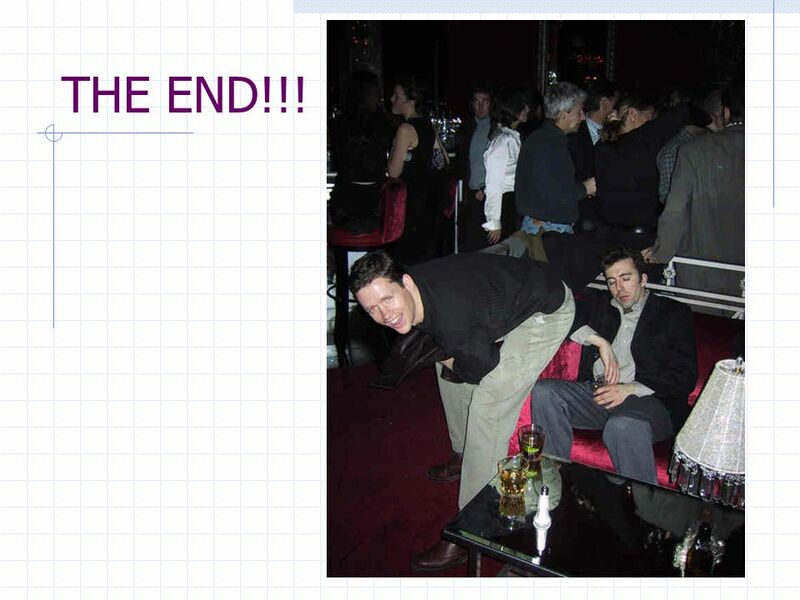 Bowel injury? 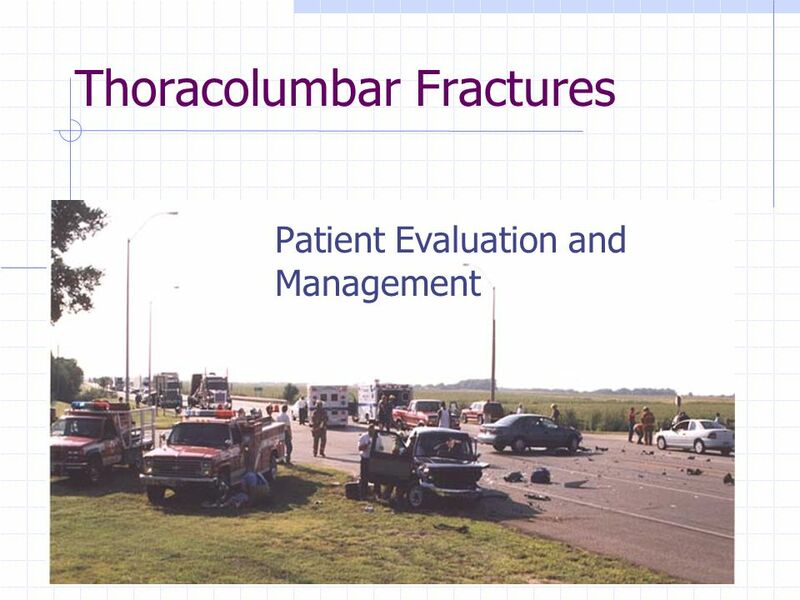 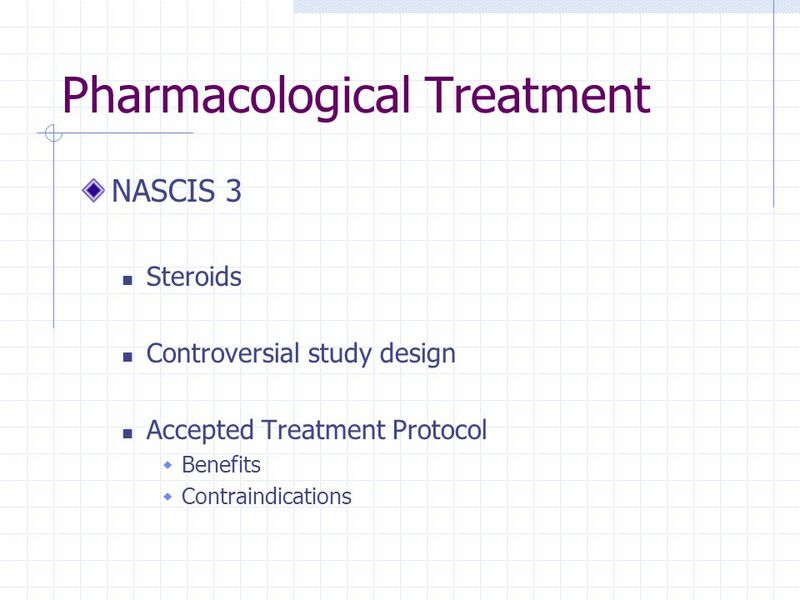 Download ppt "Thoracolumbar Fractures Patient Evaluation and Management." 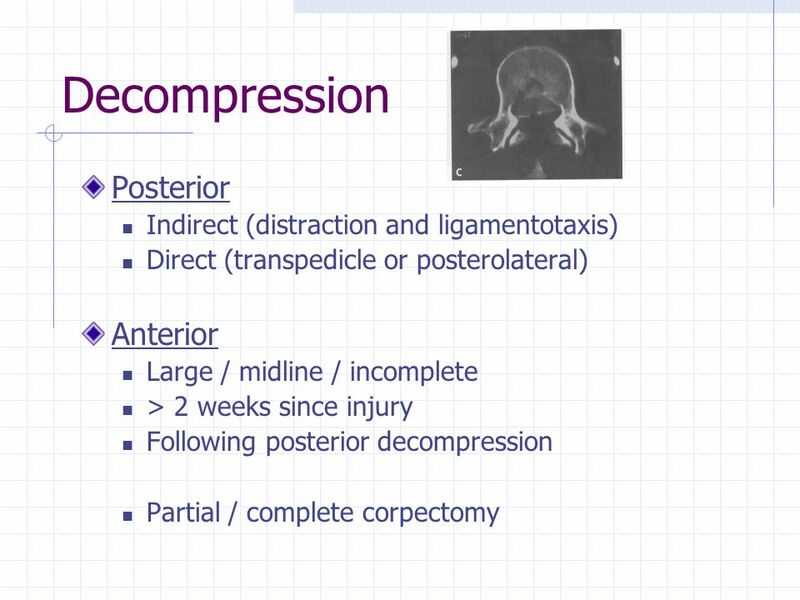 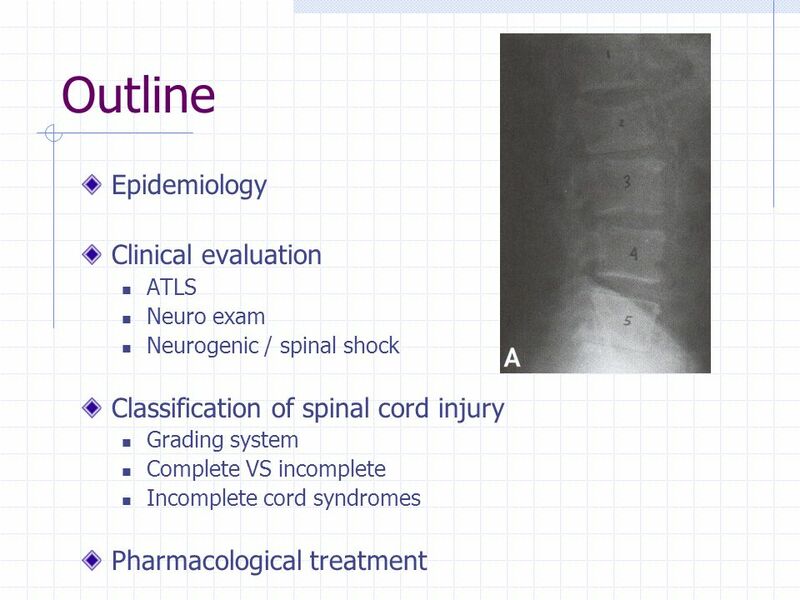 Spinal Trauma. 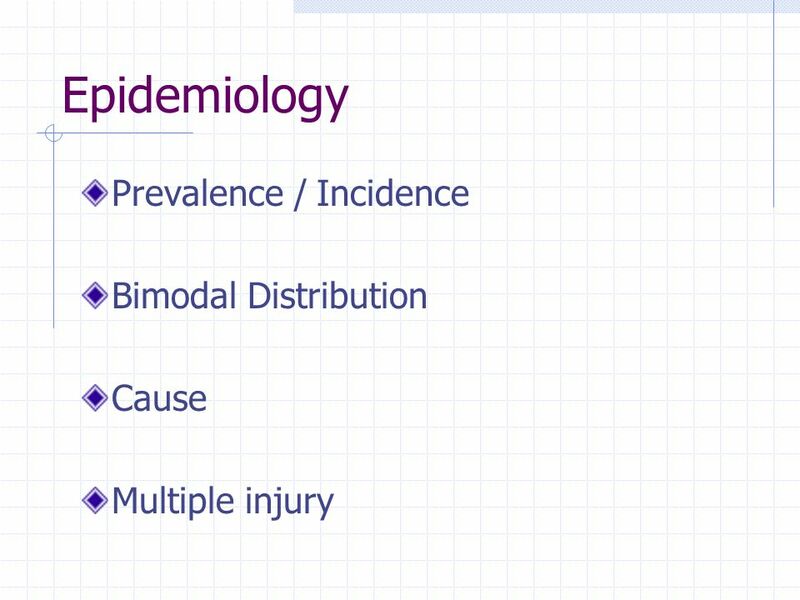 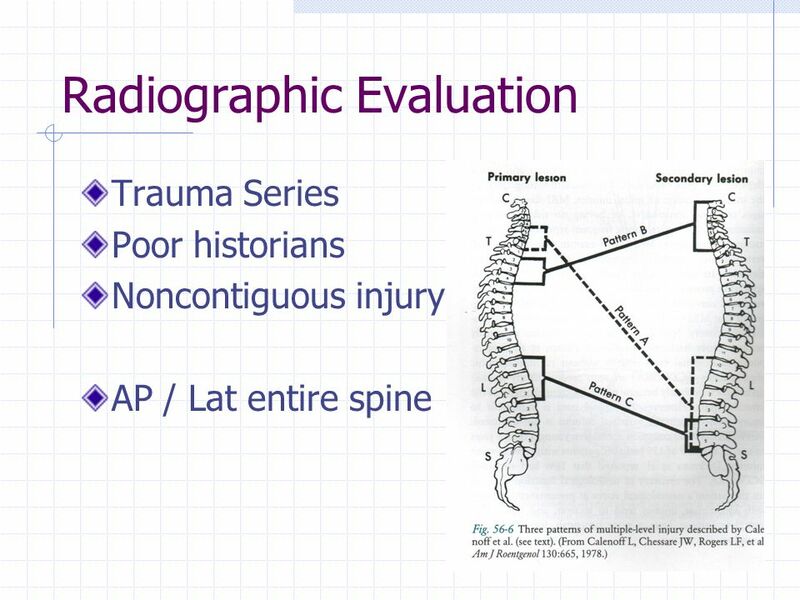 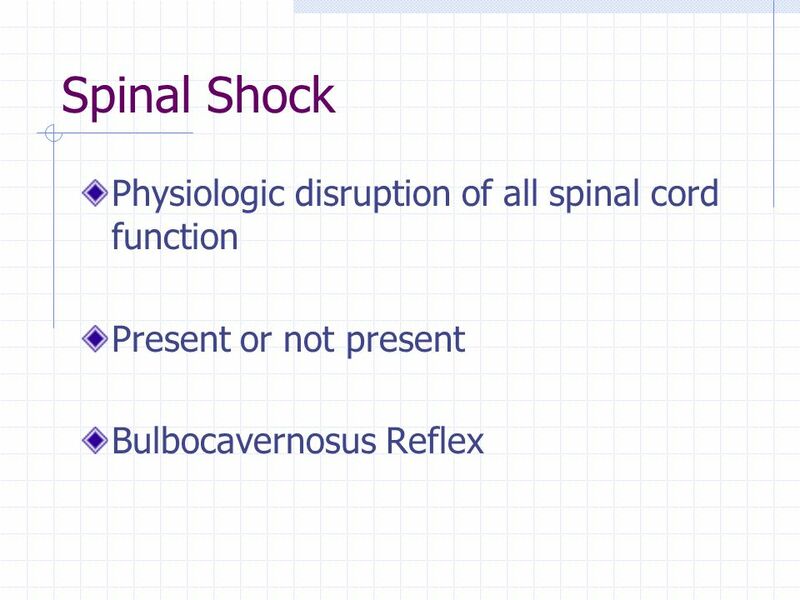 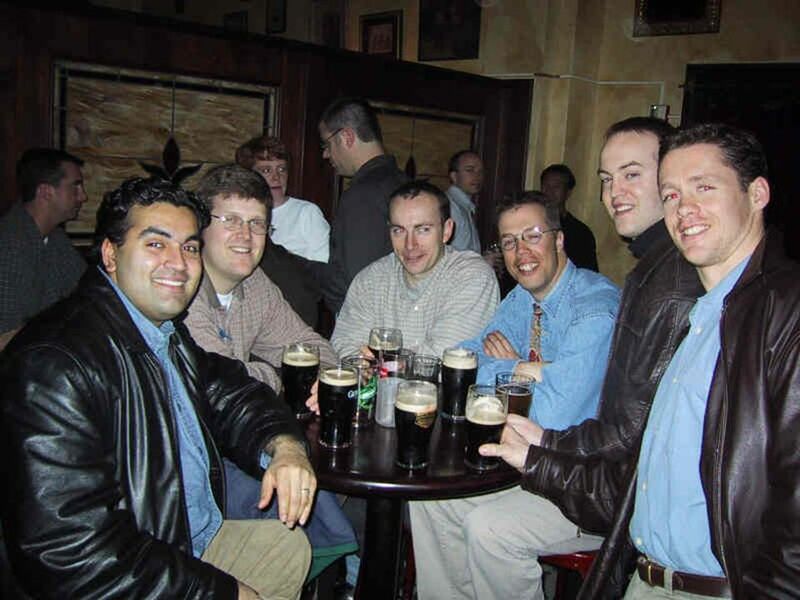 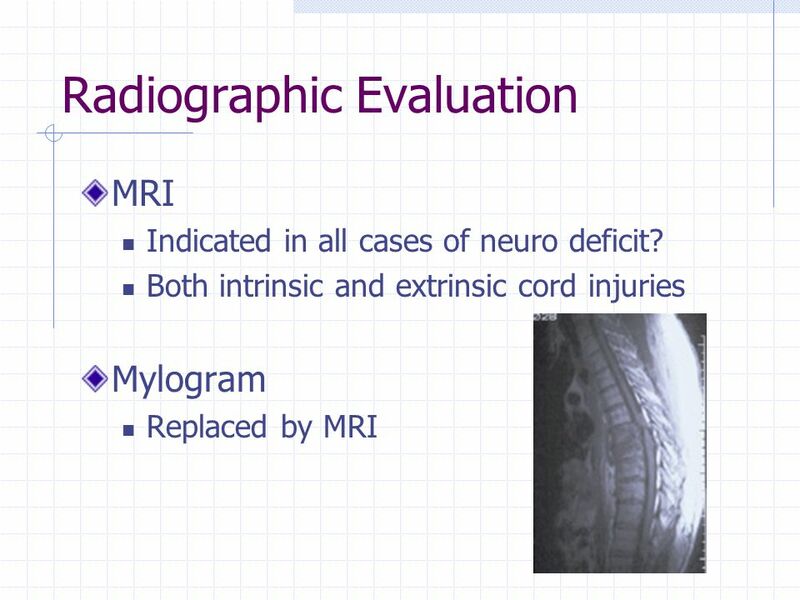 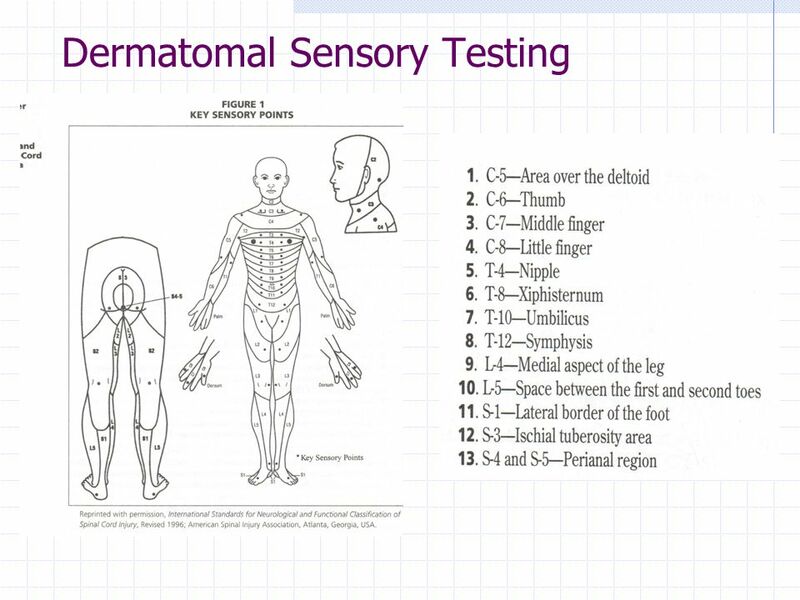 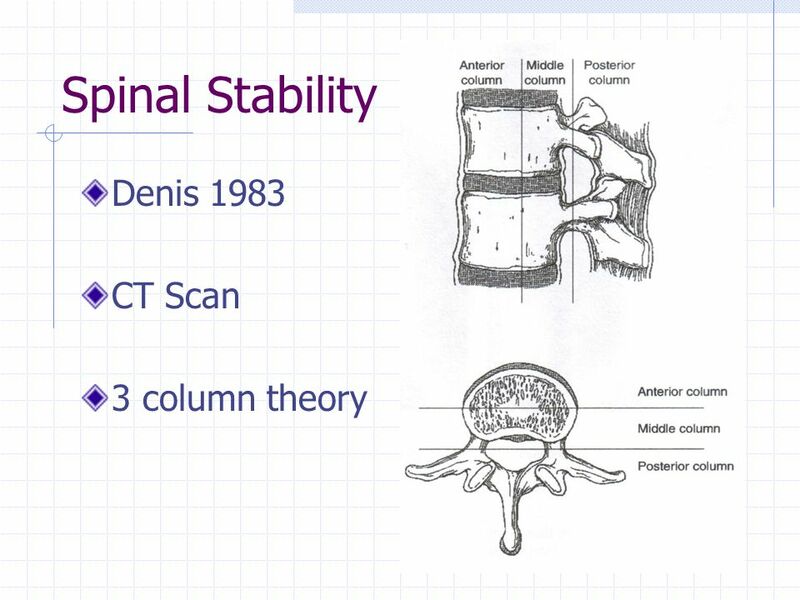 Outline Incidence Types Clinical signs Radiological signs Spinal shock Management. 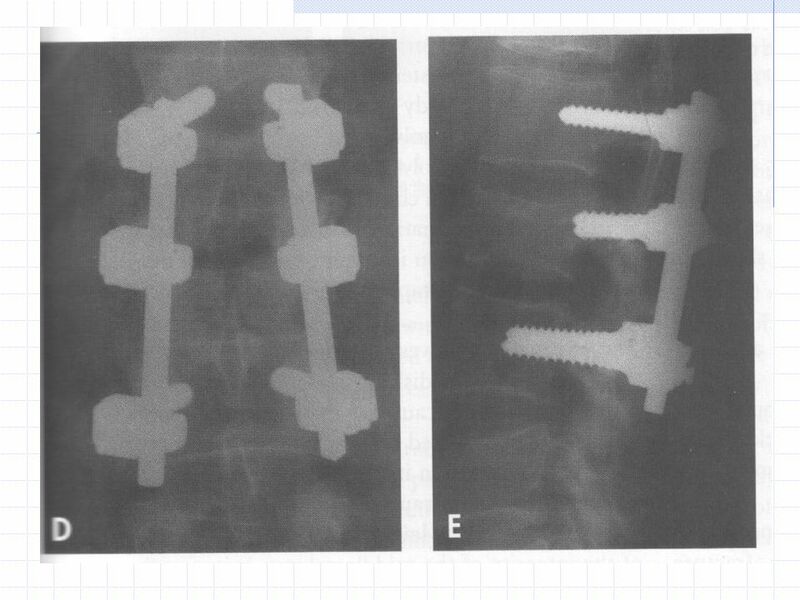 Mike Gibson Glasgow Post Orthopaedic Training Program February 2011 Thoraco-Lumbar Fractures. 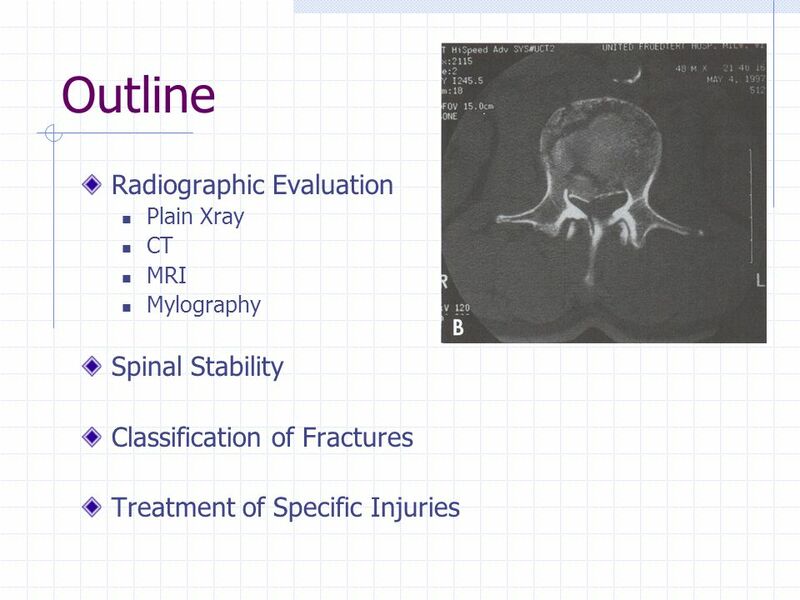 Dr. Richard Bwana Ombachi Lecturer and Consultant Spine & Orthopaedic surgeon. 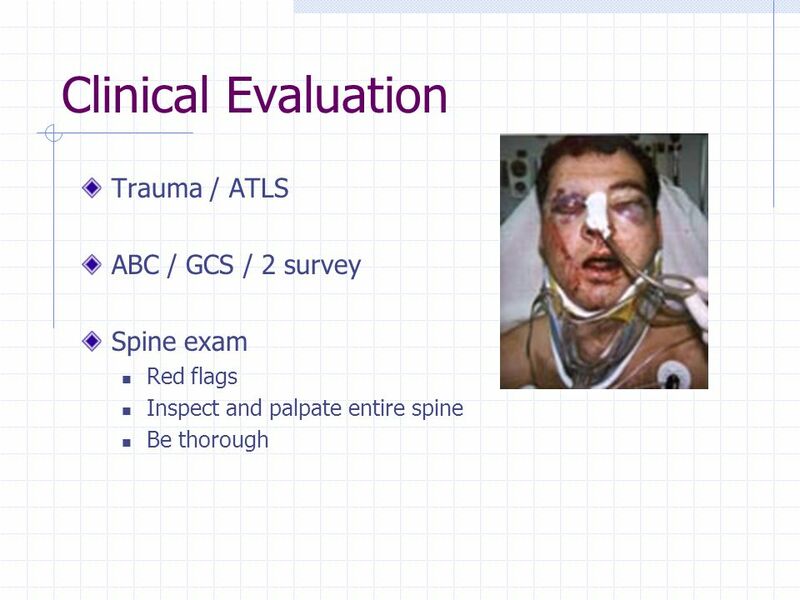 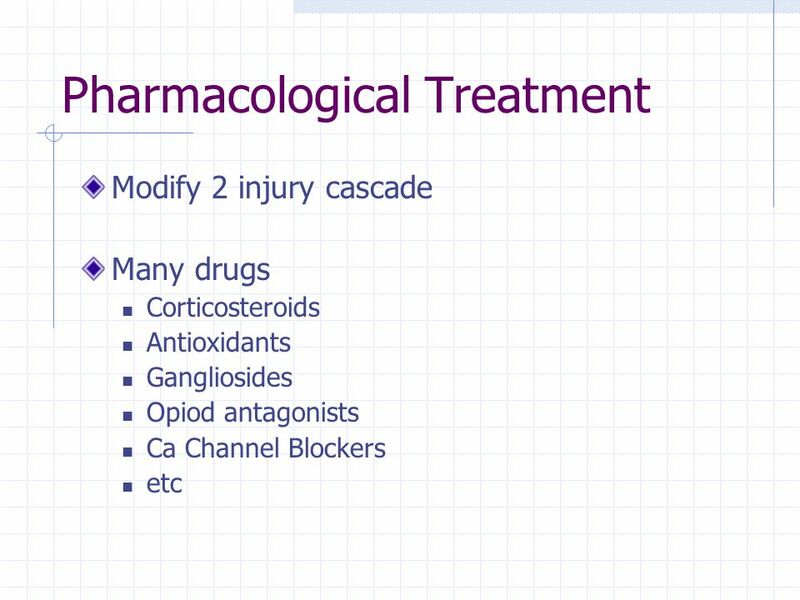 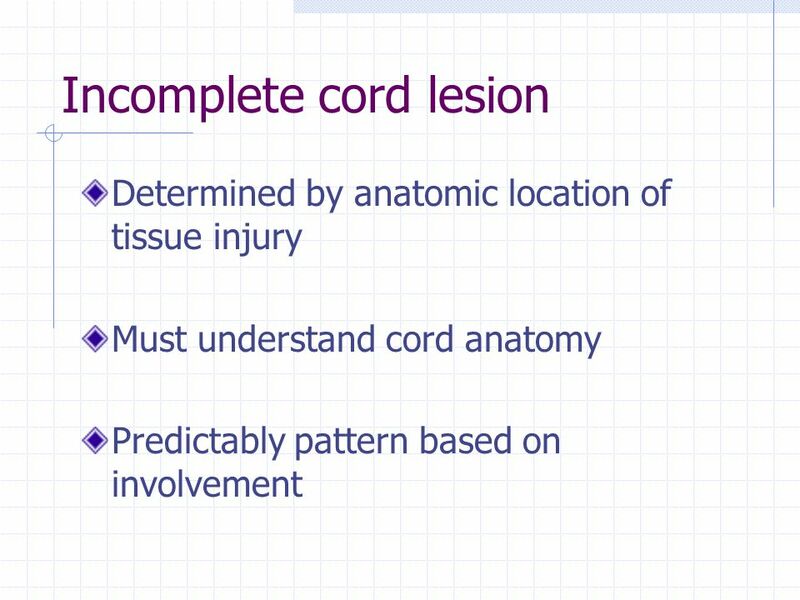 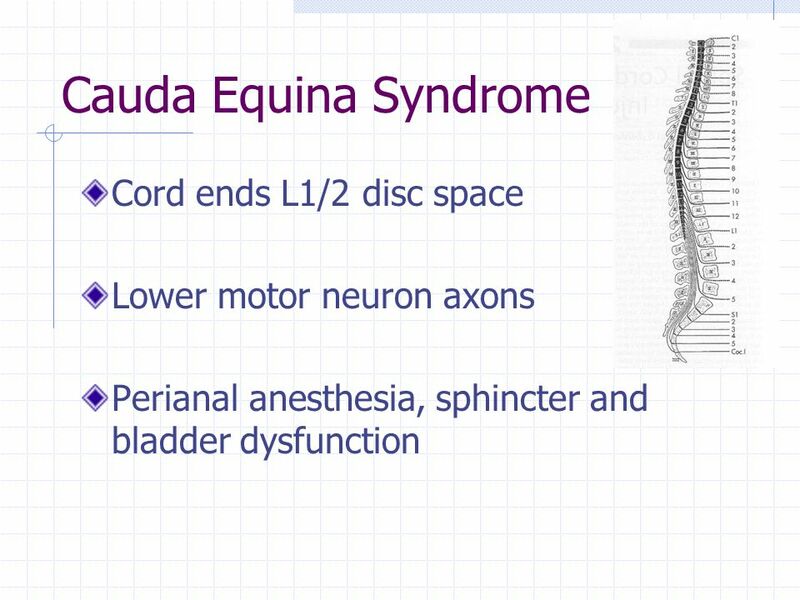 Brain Injury Course Acute Spinal Cord Injury Andy Jagoda, MD, FACEP Professor of Emergency Medicine Mount Sinai School of Medicine. 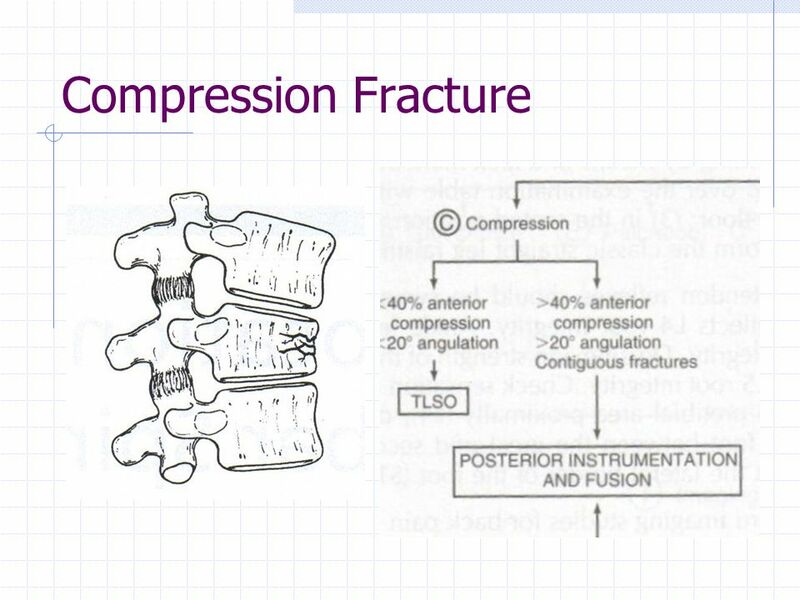 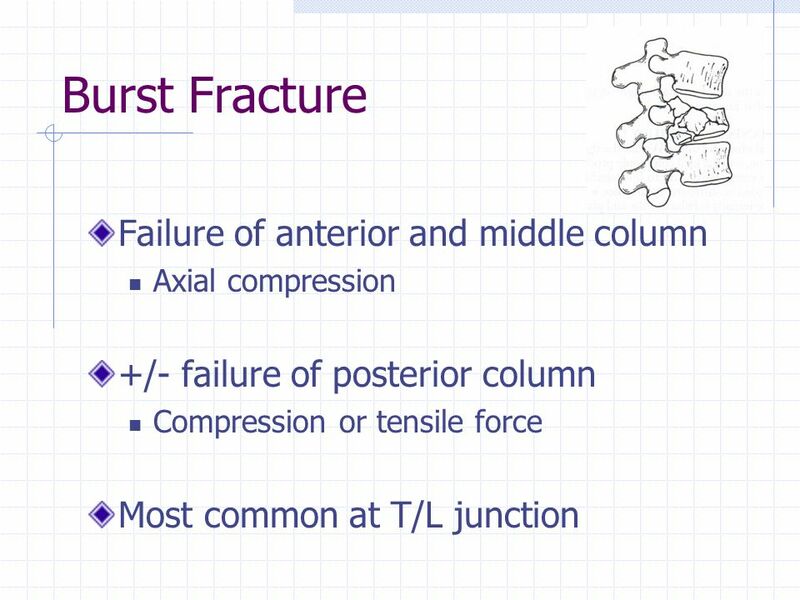 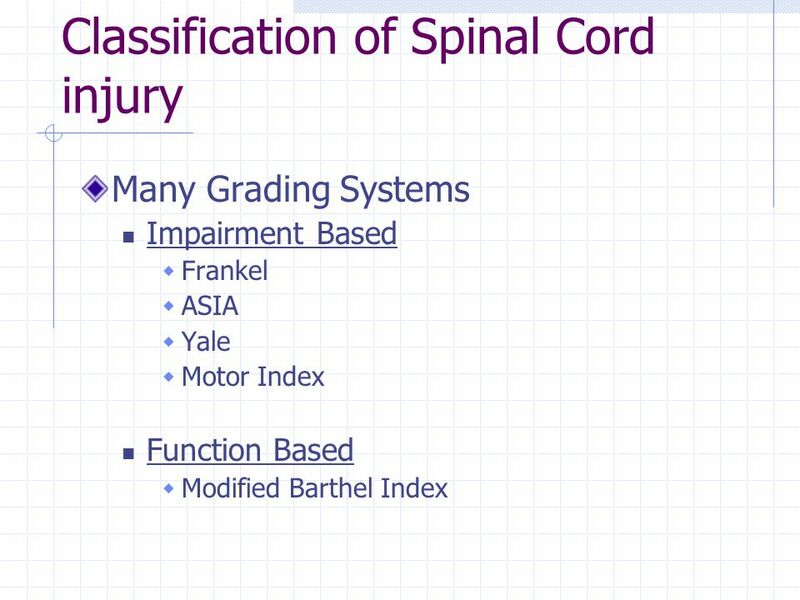 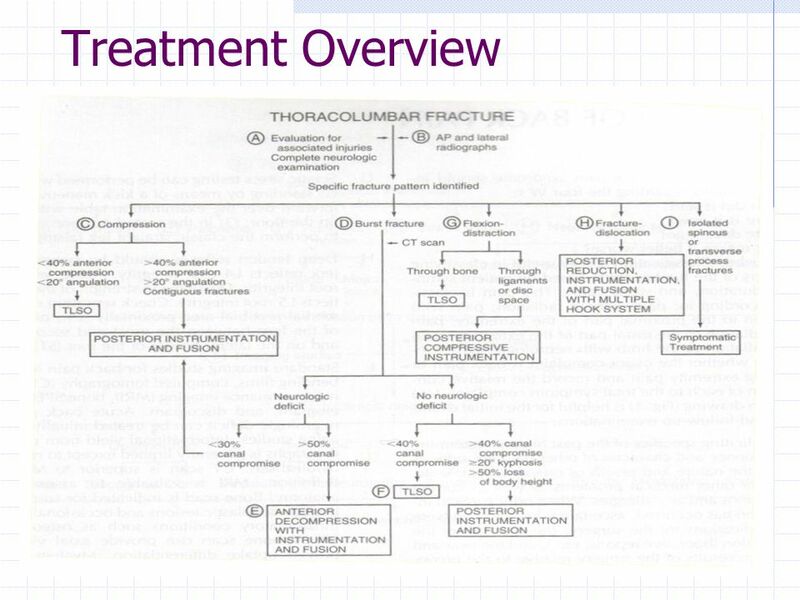 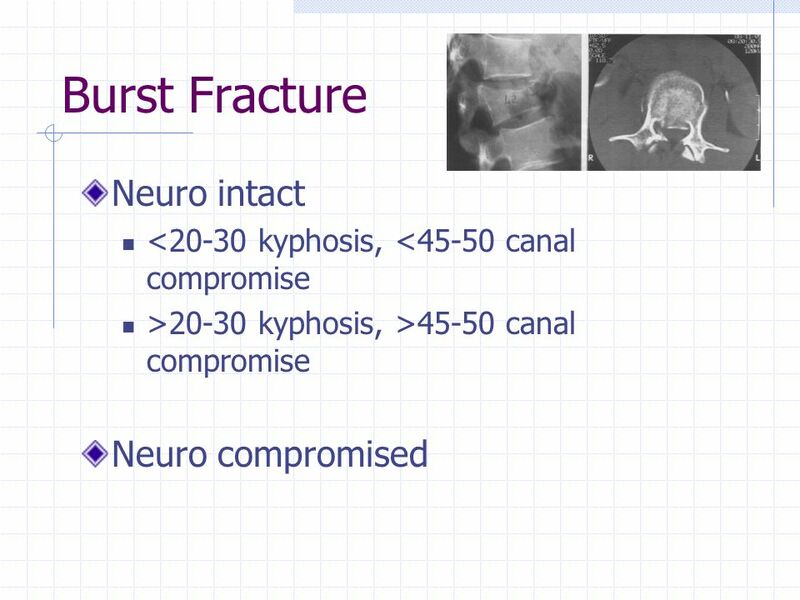 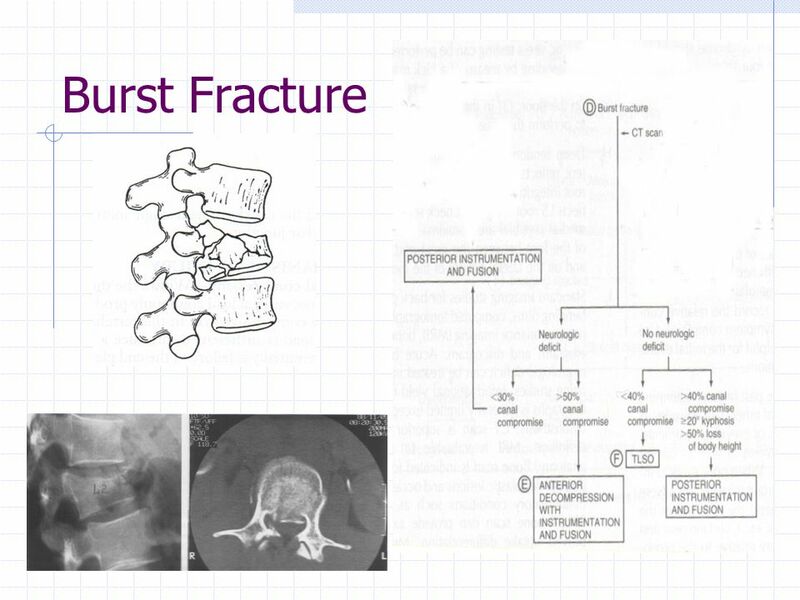 Thoracolumbar Fracture Classification System A New Approach Spine Trauma Study Group Alexander R Vaccaro M.D. 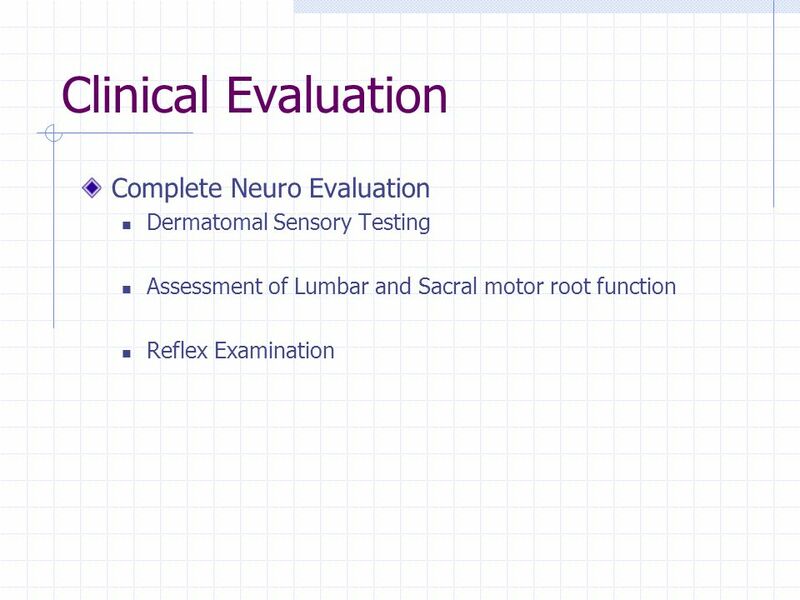 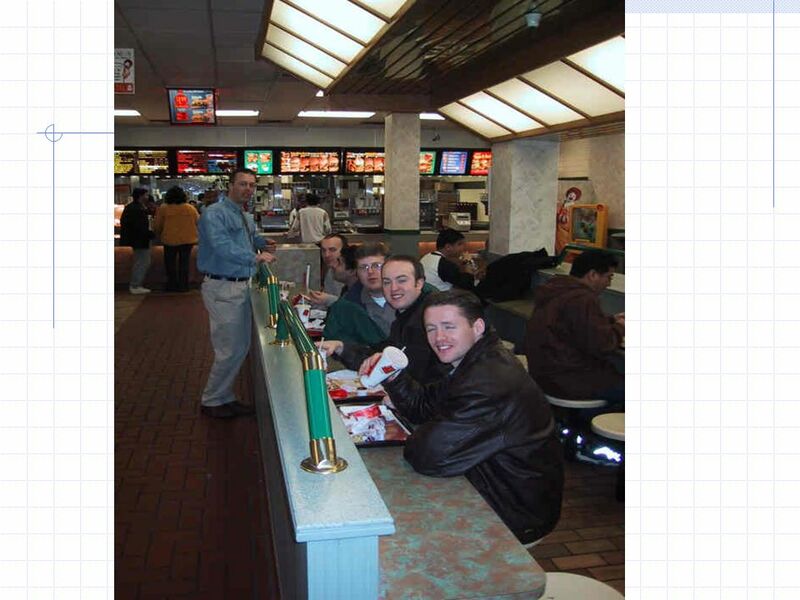 Professor Thomas Jefferson University Department. 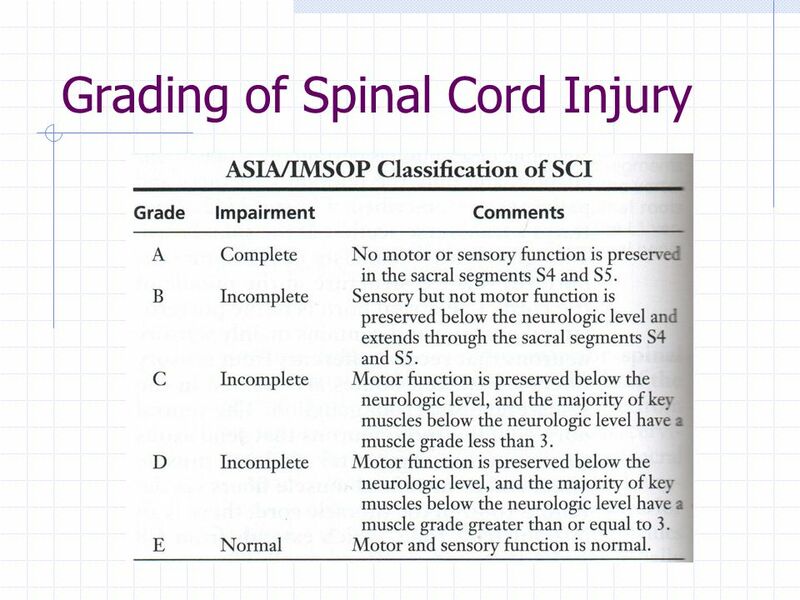 Injury of the spine Spinal injury carry a double threat: damage to the vertebral column & damage to the neural tissues. 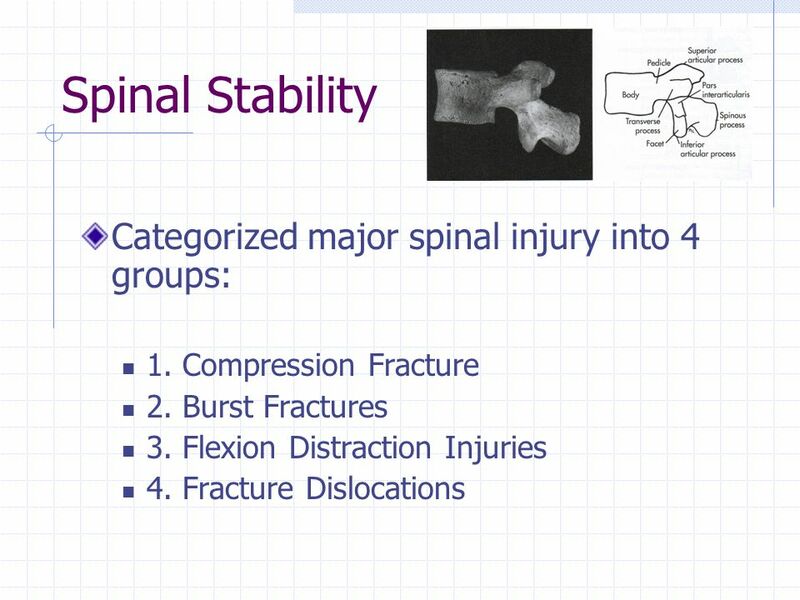 *Stable injury: is one in which. 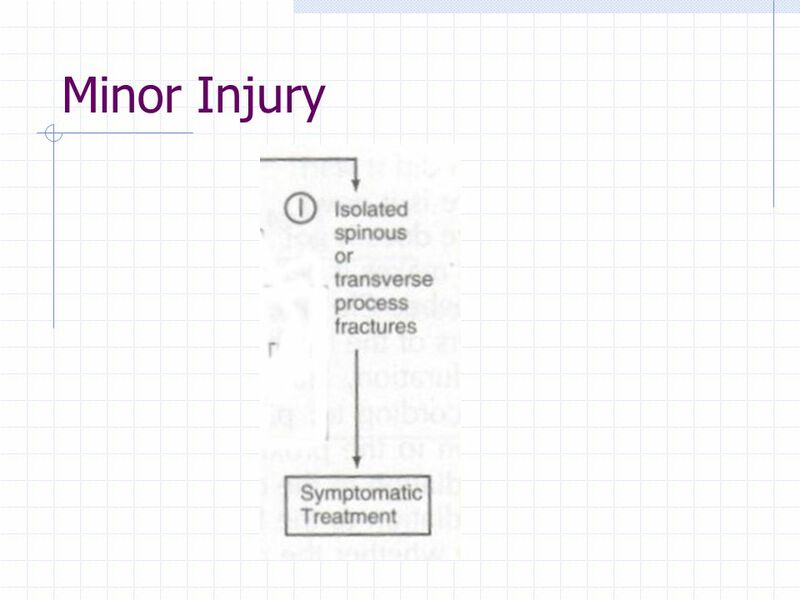 Spinal Trauma. 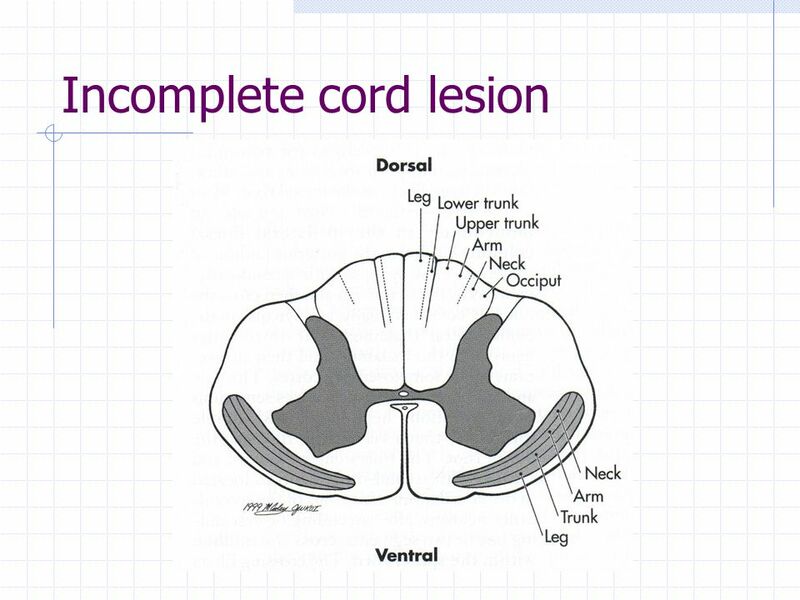 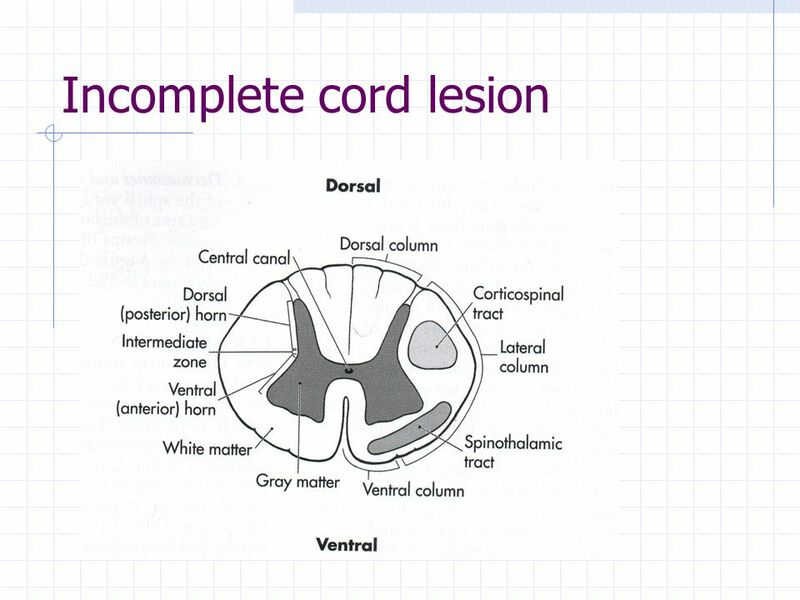 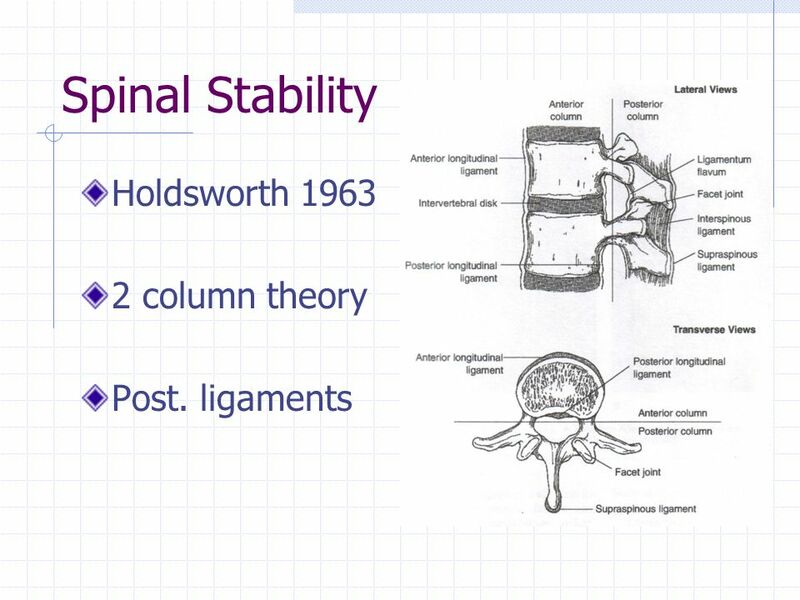 Anatomy and Physiology  Vertebral Column  Spinal Cord. 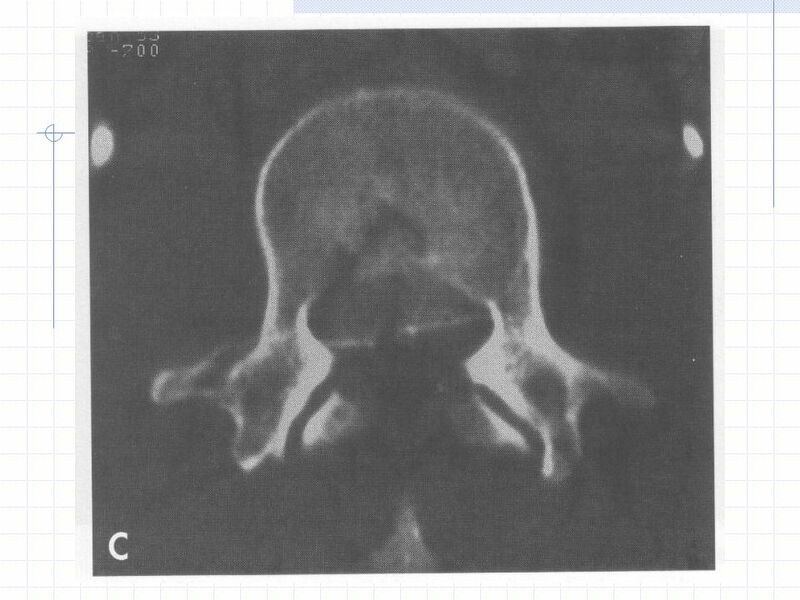 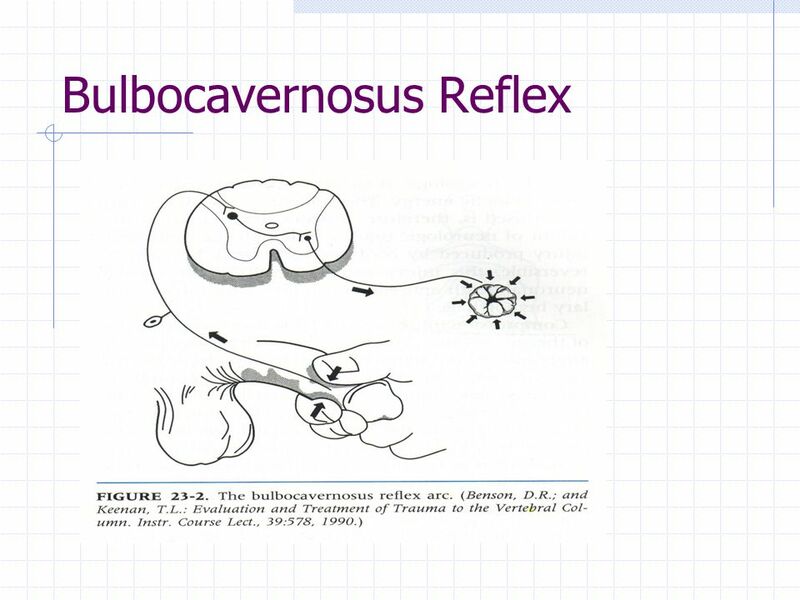 Ghavam Tavallaee Neurosurgeon. 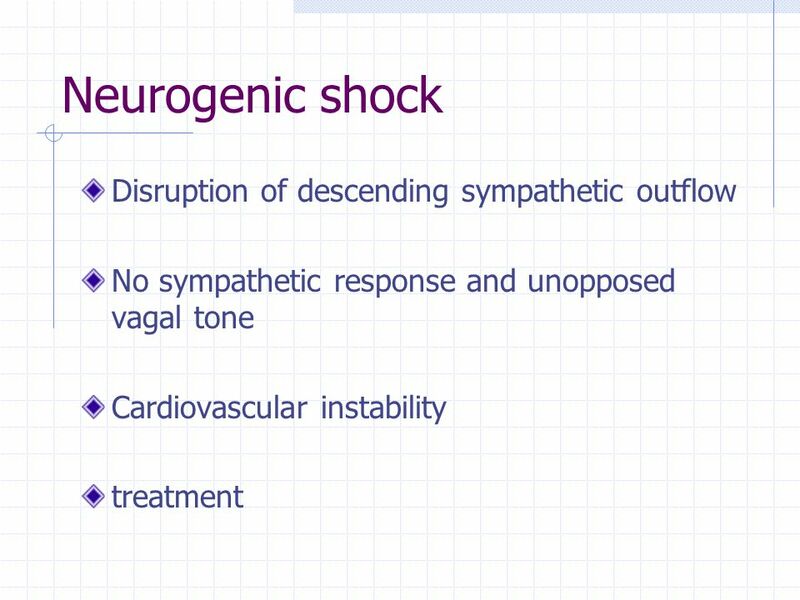 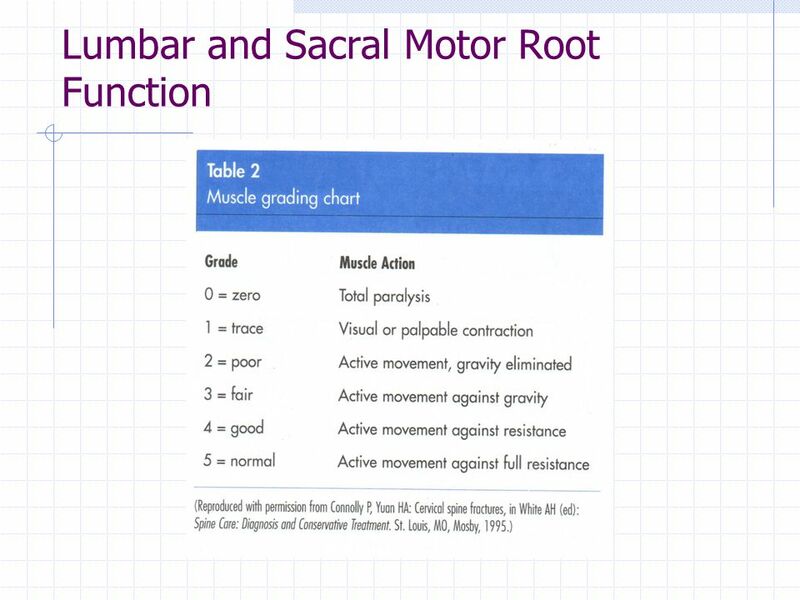 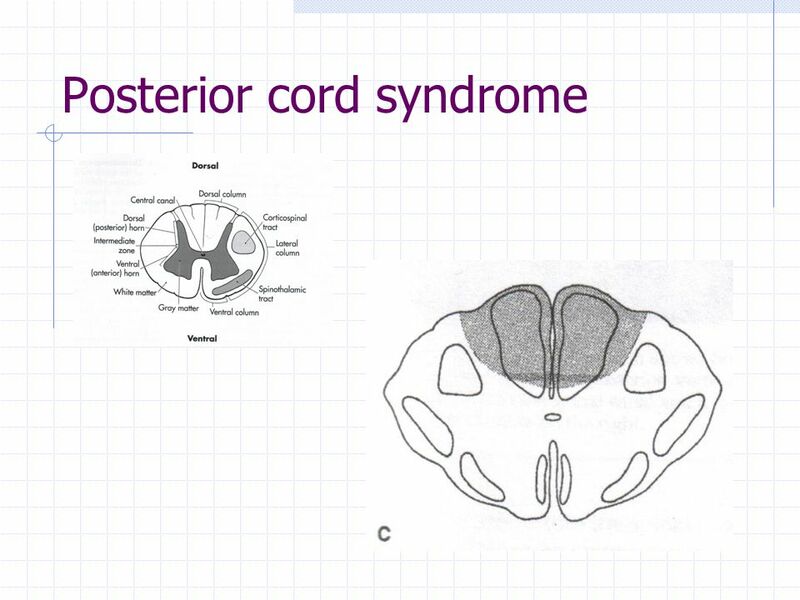 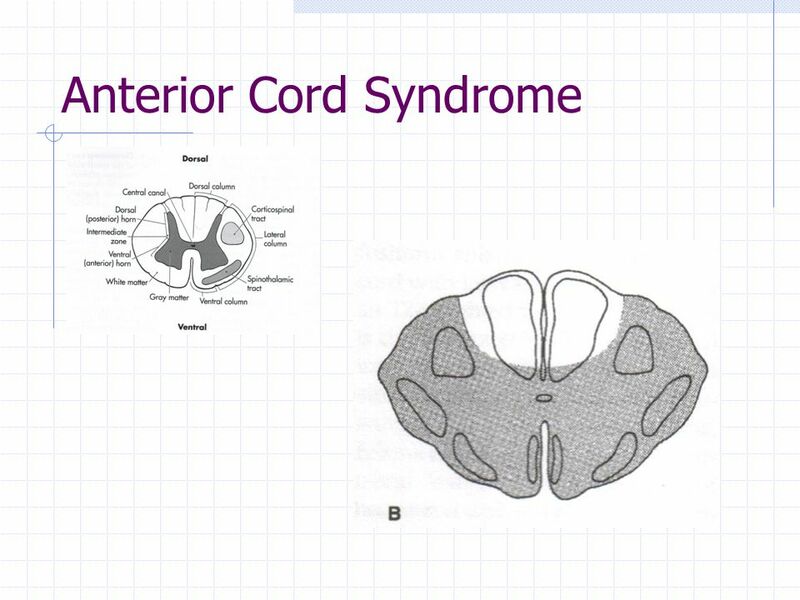 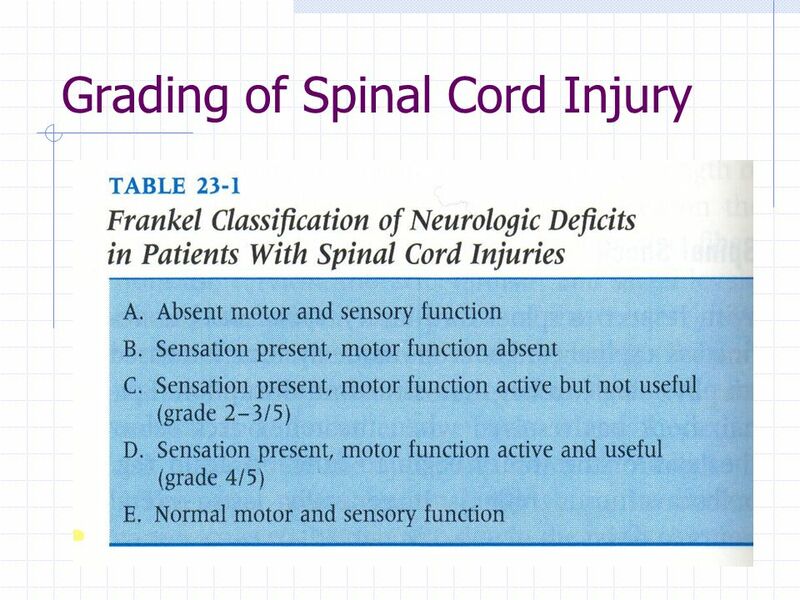 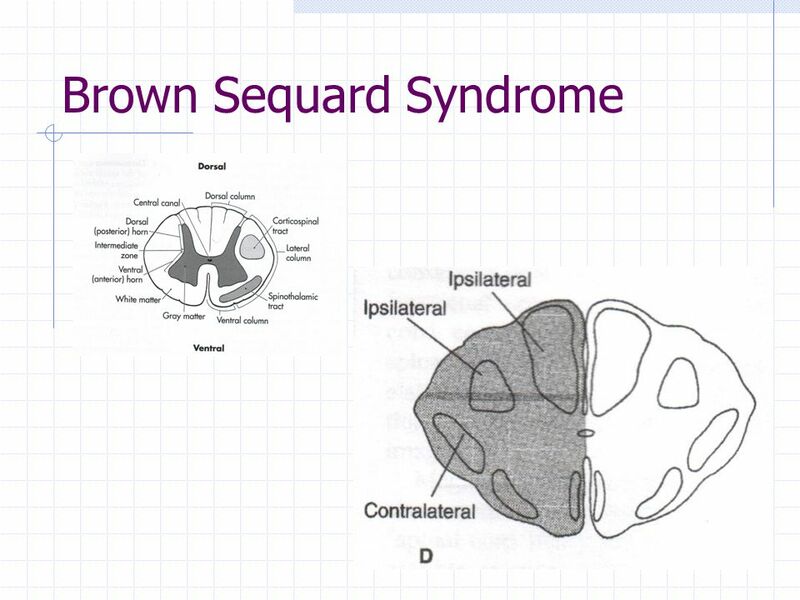 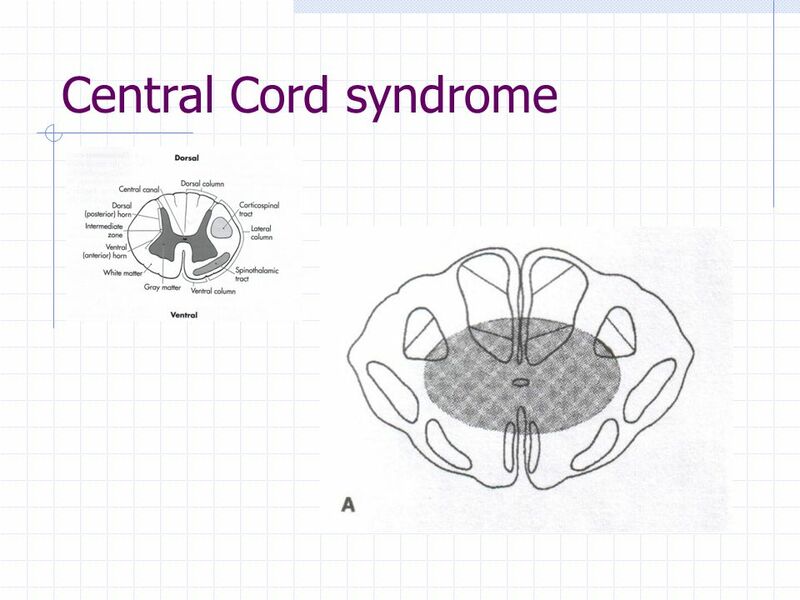 Insult to spinal cord resulting in a change, in the normal motor, sensory or autonomic function. 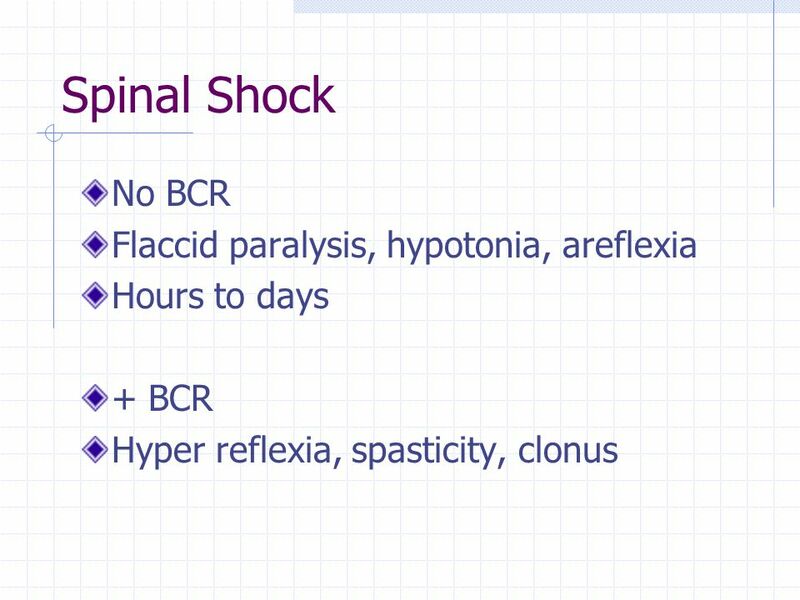 »This change is either.